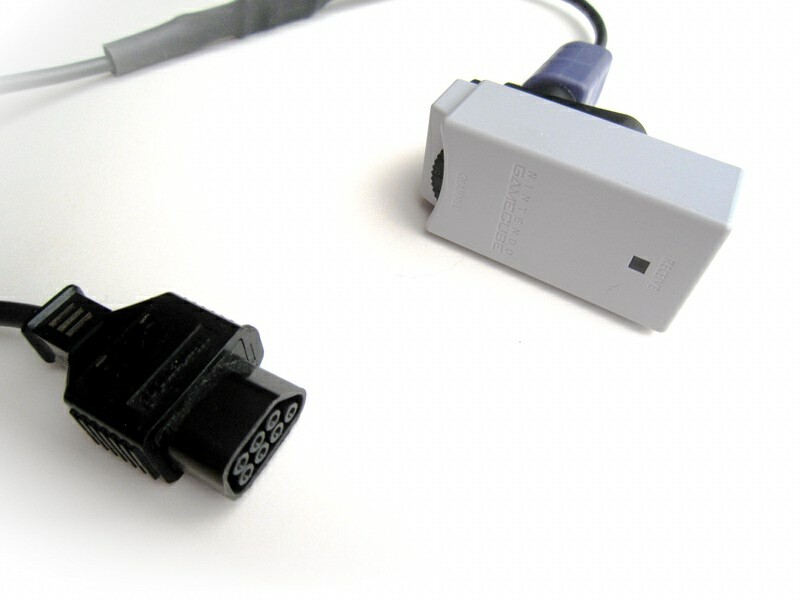 With this adapter, using a Gamecube controller on a NES becomes possible. Perfect for a wireless solution involving the Nintendo Wavebird. 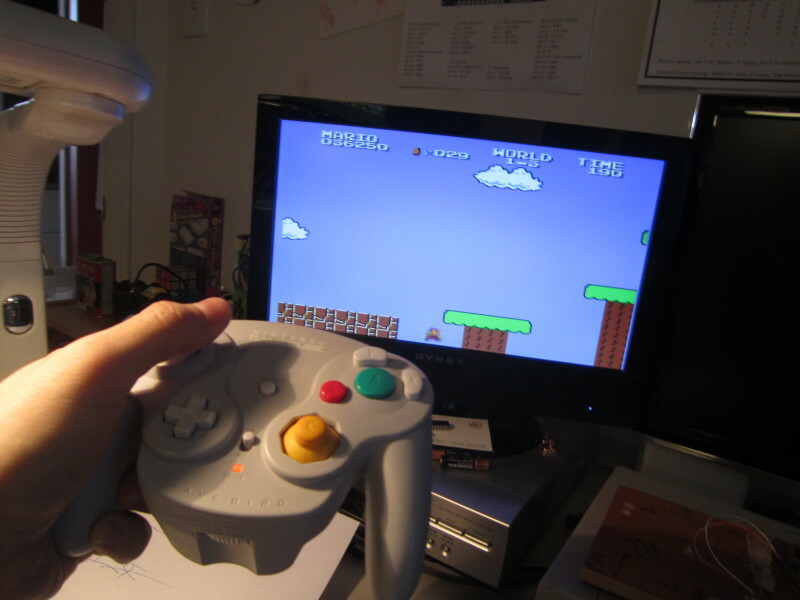 And in an attempt to profit from the additional elements of the gamecube controller, the firmware has special features such as Turbo and mario-auto-run modes. It's fun! Supports most Gamecube controllers. Tested with normal controllers, with the white japanese imports with very long cable, with the popular Nintendo Wavebird and an Intec wireless controller. Turbo feature. While L is pressed, A and B become turbos. Special mode for Mario Bros (autorun). Enabled by holding A at power up. High joystick sensitivity mode enabled by holding B at power up. L When held, A and B will be pulsed (turbo). 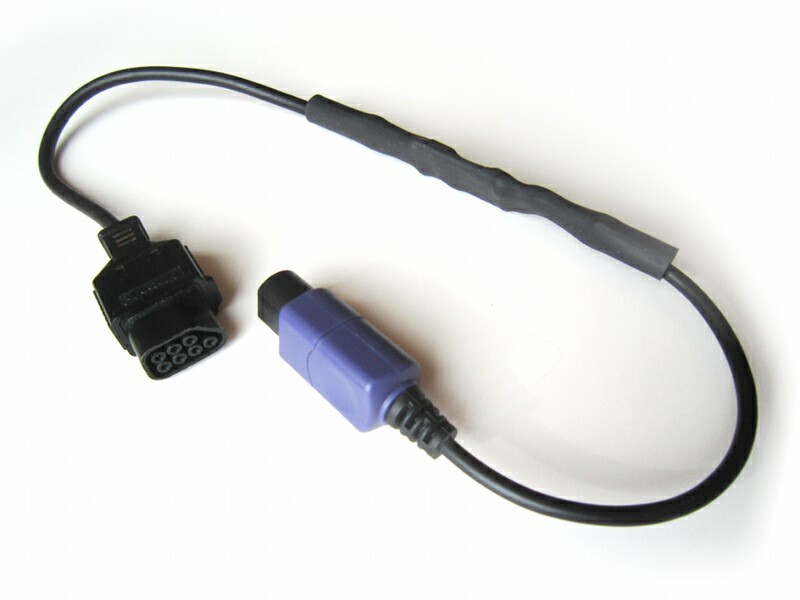 The cable color connector finish are subject to change without notice. Parts of this project are open-source. More info on the project page.